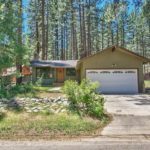 3282 Pickett Avenue, South Lake Tahoe CA offered at $399,900Classic Vintage cabin, 2 blocks from Lake Tahoe! This is a beautiful property that has loads of character featuring knotty pine throughout the home. Upgrades include fresh paint, new carpet, tiled floors and granite kitchen counters. 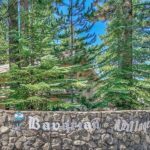 This in town location provides quick access the Lake Tahoe, Heavenly Ski Resort, shops, restaurants and the Stateline casinos. Come take a look today and feel the history this sweet...Continue Reading! 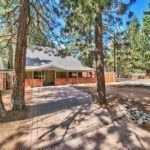 Price Changed to $353,900 in South Lake Tahoe! 1424 Chinquapin Drive, South Lake Tahoe CA offered at $353,900Location, Location, Location! Close to Heavenly, Lake Tahoe and the casinos. 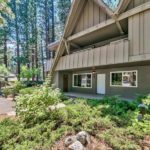 This Great home is on the first county street in South Lake Tahoe. This means a friendly, economical and easy vacation rental permit process! This home has been loved by a couple who are full time residents that must move due to a job relocation. The lot is large with natural landscape and terraced...Continue Reading! 1120 Herbert Avenue C, South Lake Tahoe CA offered at $234,900Fantastic in town location! This condo is close to Heavenly, Lake Tahoe and the casinos. This spacious condo has a great open floor plan. Newer tile at dining room and kitchen. This is an excellent Value for a Tahoe property. The complex is well maintained. Come take a look today!Continue Reading! 1170 Herbert Avenue A, South Lake Tahoe CA offered at $234,900Fantastic in town location! This condo is close to Heavenly, Lake Tahoe and the casinos. This spacious condo has a great open floor plan. The showers have been recently re-tiled and the dishwasher is new. This is an end unit with open space to the left creating wooded privacy. The complex is well maintained. Come take a look today!Continue Reading!